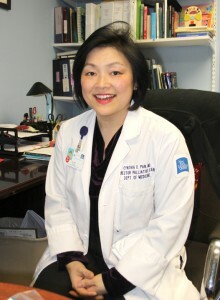 Dr. Cynthia Pan initially joined New York Hospital Queens in September 2010 to launch the Palliative Care program and now works hand-in-hand with hospital leadership and interdisciplinary physicians, as well as community agencies, to boost palliative care and transitional care services for patients with serious illnesses. In addition, she is focused on expanding the hospital’s ambulatory geriatrics and palliative care services and bridging the gap between the geriatric and palliative care fields. The push to expand these services comes at a time when the fastest growing segment of the U.S. population consists of those 85 years old and up (according to the U.S. Department of Commerce). By 2050, people age 65 and older are expected to comprise 20 percent of the total U.S. population. Dr. Pan is multi-lingual, speaking Chinese Mandarin and Spanish to better serve all of her patients in Queens. Her academic interests include teaching medical students, residents and fellows about palliative care, end of life care, geriatrics, cultural competency and communication skills. Dr. Edward Yang says he was immediately drawn to orthopedics in medical school, not just for the work, but the personalities he saw in the field. 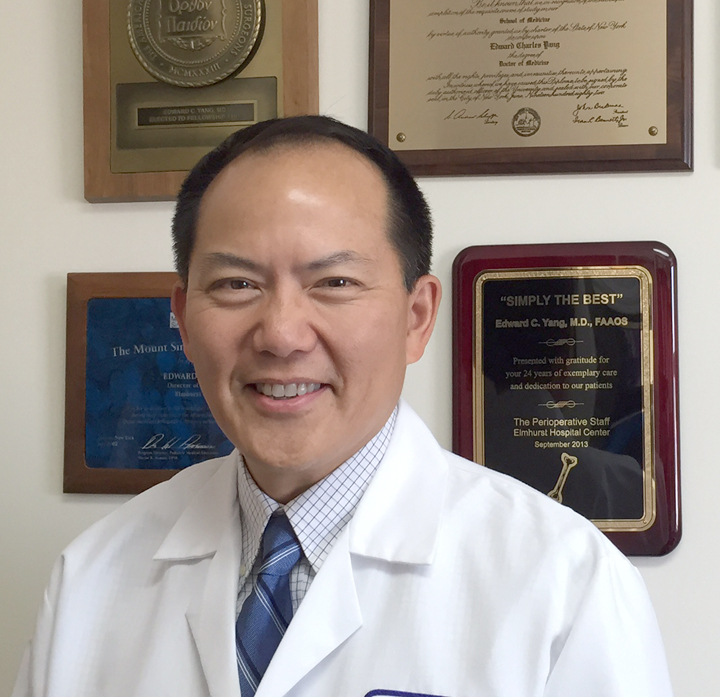 Dr. Yang spent more than two decades in the emergency wards at Elmhurst Hospital before joining Mount Sinai. While he says he loved his time as an emergency room doctor, working in a calmer environment has presented its perks. 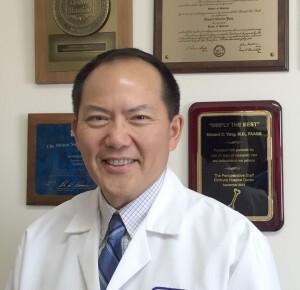 Dr. Yang’s focus includes the treatment of musculoskeletal injuries including fractures, dislocations, sprains, and strains, as well as total joint replacements and skeletal reconstruction of nonunion and malunion. Although he has been working in orthopedics for more than two decades, he says he still finds his work exciting. “This isn’t mundane work,” he said. “You’re all over the body, working on everything from the toes to the neck. For more than 35 years, Dr. Hadi Jabbar has been dedicated to helping children with asthma breathe better and participate in sports and daily activities without regular trips to the emergency room. 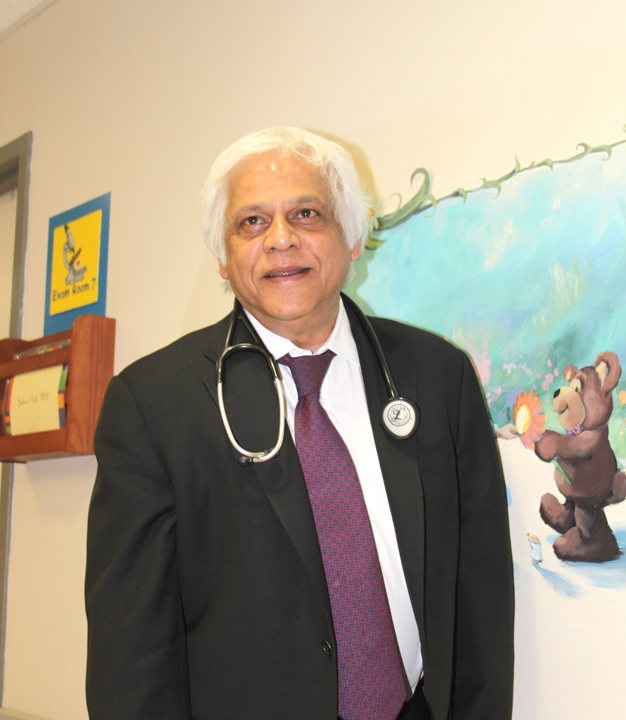 He is at the forefront of innovative treatments to address childhood asthma. Asthma is one of the leading causes of emergency room visits, hospitalizations, missed school days, and can be life-threatening. As the most common chronic condition among children, in New York City more than 170,000 children live with asthma, including approximately 50,000 children in the borough of Queens. 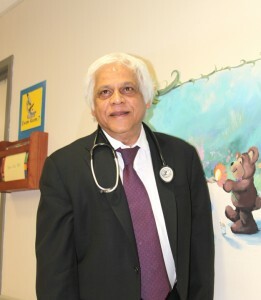 At New York Hospital Queens, Dr. Jabbar helped initiate a comprehensive asthma management program, where disease interventions are based upon treatment protocols, and includes disease education for patients and their families, home environmental analysis to identify asthma triggers and barriers to care, behavior modification, school programs, and more. In 1997 he launched the New York Hospital Queens Pediatric Mobile Asthma Van as a way to bring asthma screening and treatment directly to families in underserved communities, which typically report higher rates of asthma. Today, the van is supported by a $326,000 grant from TransCanada, a North American energy company, which enabled the establishment of a mobile asthma program at Queensbridge Houses in Long Island City – the nation’s largest public housing facilities. The van is stationed at Queensbridge Houses two days each week. It allows walk-in appointments and accepts most major insurance providers, including Medicaid. In the 25 years he’s practiced medicine, Dr. Marlon E. Brewer has amassed a number of national accolades, including the Physician Recognition Award from the cancer support organization SHAREing & CAREing, and mention in the U.S. News and World Report as a top internist in New York City, as well as on the Castle Connolly Guide as a “Best Doctor in the NYC” area. In addition to the patient work that has won him such praise, Dr. Brewer has worked to help train the next generation of physicians. He holds the faculty title of Assistant Professor of Medicine at the Icahn School of Medicine at Mount Sinai, where he was a principal contributor to the Art and Science of Medicine Program. 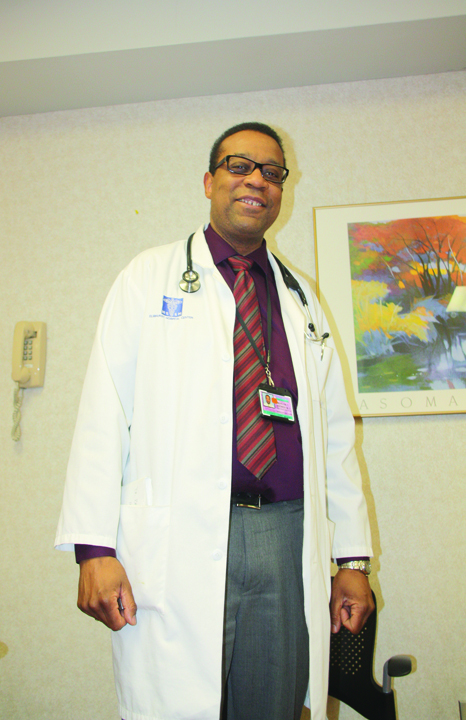 He also trains other health care professionals in smoking cessation, and has worked to improve care to patients specifically with asthma, diabetes and hypertension. In 2006, Dr. Brewer was appointed by Mayor Michael Bloomberg as a member of the Board of Health of the City of New York.